When you have such a jewel in the hand, is also normal to get put out another and more precious, as only you had a very good background. Part drivetrain is composed of KYB AGX suspension, Tanabe DF210 springs, torsion bars Whiteline & TEIN, and Wheels Racing Hart CP-F Tune R and Falken Ziex tires. 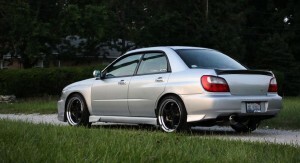 Our Impreza is stopped by a Rotor Brake Kit, which completes a particular aspect of the car unit. 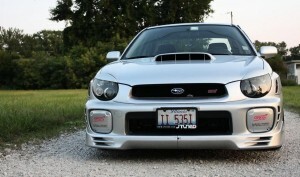 The exterior is modest, there, but are almost invisible: projectors lip front bumper, air intake, and front grille – all these are “borrowed” from the JDM STI brother. The interior a little more “modified”, because the car is used daily and Edgar longer need an other … Gear on TSI, B & M short-shifter, HKS turbo-timer and a clock from boost pressure from Lamco. So I wonder what next? Edgar tells us that real changes are only just beginning, because just graduated … We are waiting and watching closely the evolution of this project. 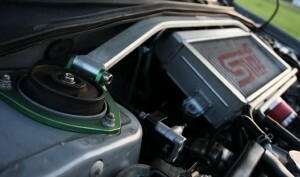 Hope upcoming changes will be able to bit the automotive market. 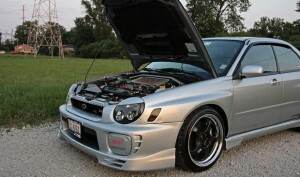 personally I like this car so much. This is one of the well balanced car. I think there is no need to make changes in this car. Car have excellent interior and exterior. This is my new idea, what do you think? 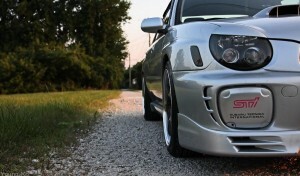 Sweet Scooby…..I love modified WRX’s! They give great value and performance for a little bit of cash.